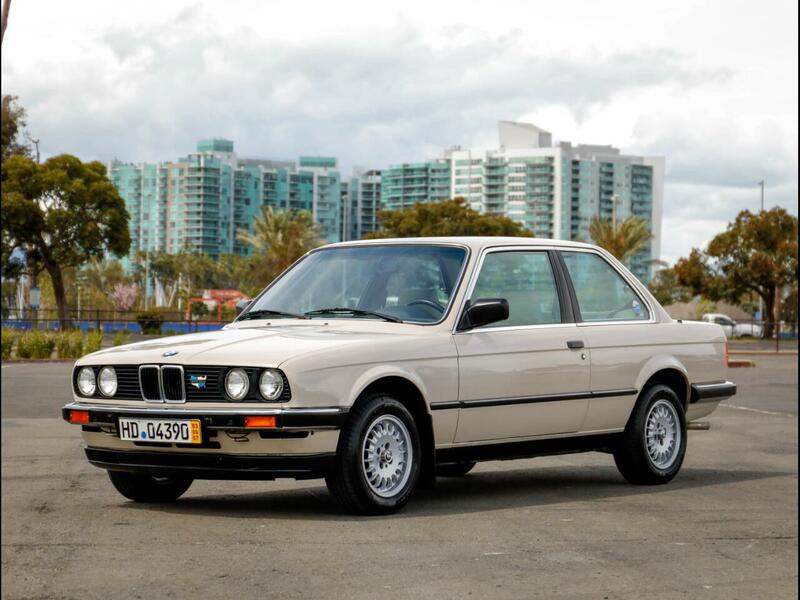 Chequered Flag International is pleased to offer this 1985 BMW 325E 5 speed coupe in Gazelle Beige (120) with Beige cloth interior. 18,925 miles with clean Carfax. Second generation 3-Series E30 produced from 1982 to 1994. Although we don't typically love the term, this car is a "Time Capsule". Perfect body, fantastic, vastly original paint. Incredible interior with little sign of wear. Unstained seats. Perfect dash and roof liner. Door panels, seats and carpets are superb. Mechanically solid and a delight to drive. Just serviced and four new tires fitted. Lots of power, smooth trans, good clutch, responsive steering and brakes. Nicely optioned with A/C, power windows, power sunroof and factory sport seats. Upgraded Blaupunkt radio/CD unit with the original BMW radio/cassette unit included. Comes with its original books and manual, radio code card, remote for the Blaupunkt, full tool kit, etc. This is an incredibly good car throughout and has to be one of the best existing examples available. Inspections encouraged. All sales AS-IS. Sales tax and license fees due if delivered in California. Message: Thought you might be interested in this 1985 BMW 325e.